Purchasing a home is often the single largest financial investment an individual or family will make. Since the value of real estate frequently increases over time, the owner's financial interest in the property also may increase. Along with its investment value, home ownership carries with it potential exposure to financial loss from unpredictable events such as: fire, windstorm damages, theft of personal property, water damage, and lawsuits from an injured person. You can protect your property against all of these losses by purchasing homeowners insurance. Coverage for the dwelling you reside in extends to any attached structures, such as a deck or garage. This does not include land or the dwelling's foundation. In the event you are required to leave your home as a result of a covered property loss, we will cover you for many additional expenses which may include hotel or restaurant costs. Quality Coverage endorsement provides increased limits of coverage on certain personal property classes covered under the basic Homeowner, Tenant and Condominium policy. In addition, damages caused by backup of sewers and drains, food spoilage, waterbed damage, as well as increased liability protection are also provided. New! Quincy Mutual now offers Equipment Breakdown & Service Line coverage. Equipment Breakdown protects you in the event of Mechanical, Electrical, or Pressure System breakdowns from televisions to security systems to pools, and much more! Service Line coverage protects you in the event that there is damage to underground piping, wiring, valves or attached devices that connect a home to a public utility service provider or private system. To learn more about Equipment Breakdown, click here, or contact your agent. The condominium is a joint enterprise type of ownership in which there is a common ownership of certain portions of the premises. The individual also has exclusive ownership of the right to occupy a specific unit, and may individually own certain items of physical property within the unit. The ownership deed for a condominium, usually called a master deed sets forth the exact provisions of ownership and rights of occupancy of all the unit owners. In the case of the condominium, the dwelling is the unit you own. You must consult the "master deed" to establish your actual ownership, rights, and responsibilities as a unit owner. Dwelling coverage includes any permanent appliances, fixtures, improvements and real property that pertain exclusively to the insured unit. 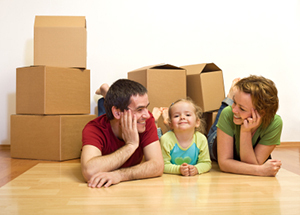 This coverage section protects your general household belongings against loss by a broad range of perils. Items can include furniture, clothing, appliances, and other personal possessions. In the event you are required to leave your unit as a result of a covered property loss, we will cover you for many additional expenses which may include hotel or restaurant costs. Condominium unit owners have additional property and liability exposures as members of a condominium association. An example may be a fire in a stairway that damages common property, or if someone slips and falls in your parking lot and is injured. If damage to property or bodily injury to the injured person isn't covered by the association's master insurance policy, each unit owner could be assessed for a portion of the loss. Your policy automatically provides you with $1000 of this coverage, but you may purchase higher limits. Individuals who do not own their own home may live in an apartment, condominium or house and pay rent to the owner of the dwelling. These individuals need protection for their personal property, loss of use, personal liability, and medical payments. Also, the tenant may have an interest in improvements that they had made to the rental unit. In the event you are required to leave your apartment as a result of a covered property loss or if the building containing the property makes the apartment not fit to live in, we will cover you for many additional expenses which may include hotel or restaurant costs. Although as a tenant you do not have an insurable interest in the building in which you reside, you might add fixtures or make improvements to the apartment or home. These are "additions or alterations." If a covered loss occurred, you would be provided with an amount equal to 10% of your personal property coverage limit.